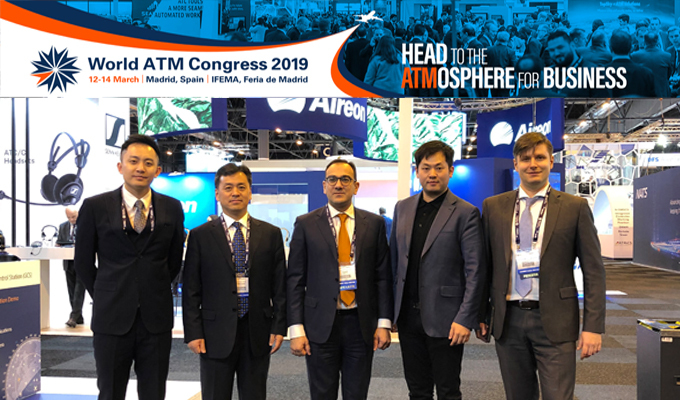 Madrid, March 14, 2019 - The seventh annual World ATM Congress, held at Feria de Madrid, concluded on Thursday, 14 March. The world's largest air traffic management (ATM) event attracted a record-breaking 9,573 registrants and 253 exhibitors from 135 countries and territories. Addressing the theme "Tackling the Big Issues in ATM – Capacity, UTM Integration, People," speakers and panelists explored solutions to the challenges of capacity constraints, drones, unmanned aircraft systems (UAS) traffic management (UTM) and the services that drone operators require, etc. 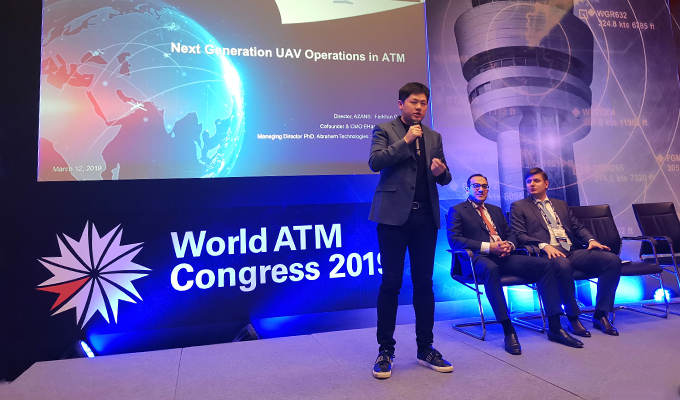 EHang Cofounder Derrick Xiong together with Farhan Guliyev, the Director of Azerbaijan Air Navigation Services (AZANS), and Stanislav Kochkin, the Managing Director, Abraham Technologies LTD (Abraham), jointly delivered a panel speech on Next Generation Unmanned Aerial Vehicles (UAV) Operations in ATM on March 12. At the conference, the three parties signed a roadmap for agreement proposal to create an integrated ATC/UTM command control center for Azerbaijan in witness of Yang Jiansen, the Director of the Regulations and Standards Department of Civil Aviation Administration of China (CAAC). AZANS together with EHang and Abraham joined to develop Next Generation UAV Control system which will merge UAV Command Control Centre and UAV Air Traffic Management integrated with ATC Automated System. New UAV Control Centre will implement various equipment to be hosted in ATM Artificial Intelligence at the Heydar Aliyev International Airport at Baku. The main objective of this project is collaboration in establishment of Command Control Centre at Heydar Aliyev International Airport to control flights of civil UAVs, automation of certification, permission and application for flight procedures. System will be fully integrated with live Air Traffic Management system of Azerbaijan. State of Art 3D mapping functionality of EHang UAVs to be integrated to AIM system of AZANS for generation of Digital Terrain Modules. Due to the frequent incidents of unauthorized flights of UAVs near the airports, an urgent need has arisen throughout the world to create an appropriate system for protecting these strategic facilities. ATM / UTM solution enables a wide range of commercial and recreational drone operations to be safely integrated into everyday operations, including the runway of a major international airport.